I reached out to a couple Finnish friends (Thanks Mikaela and Tuulikki!) 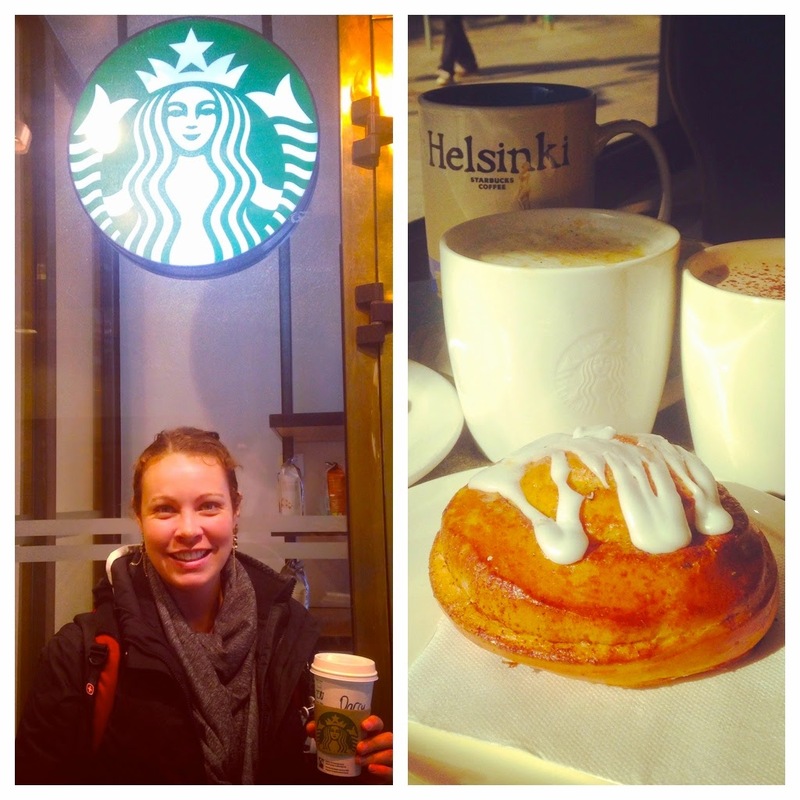 for Helsinki tips and was promptly warned that we picked a special weekend to visit. We were arriving April 30th, the eve of May Day celebrations. The streets would be filled with fun-loving party goers wearing white caps (and sometimes brown depending on how old the owner is...) There would also be celebrations going on in Kaivopuisto Park on May 1 if we wanted to partake. So of course we did! 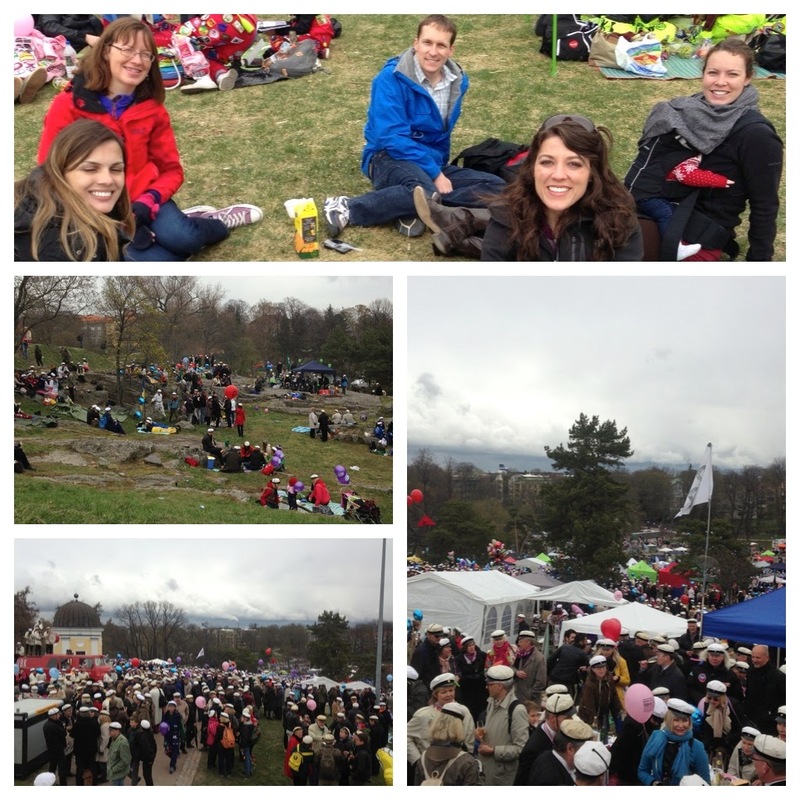 We met some friends from Norway who just also happened to be visiting Helsinki the same weekend as us and enjoyed a champagne brunch in the park amongst music and picnic tents - the perfect way to kick off our weekend in Helsinki! 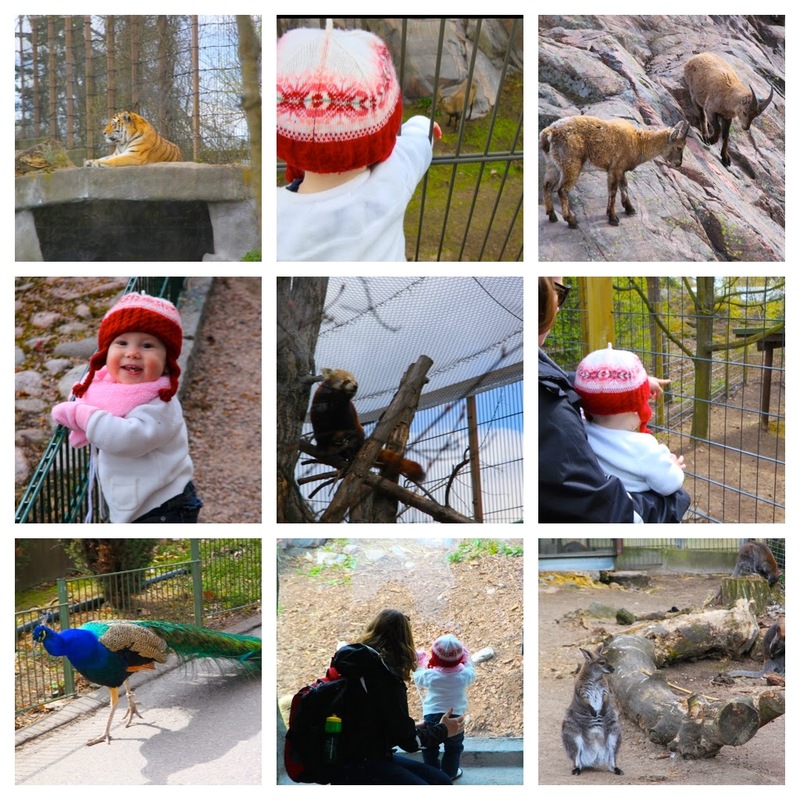 After leaving the park we made our way around Helsinki to do some sightseeing. 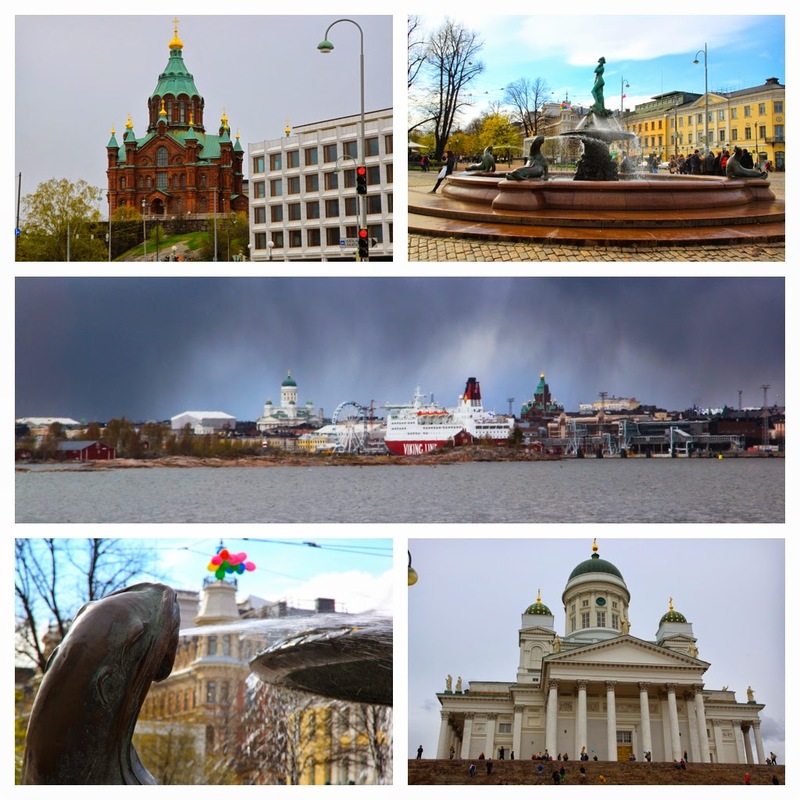 Most things were closed for the celebrations so we leisurely walked around the Market Square and visited the Helsinki Cathedral and Uspenski Orthodox Cathedral. We also walked up a street full of embassies and were excited to take our picture by the US Embassy, where we were promptly met from a security guard out of no where asking us what we took a picture of and if we got any security cameras in our shot. We definitely looked like a suspicious bunch carrying a bundled up baby and an Angry Birds balloon, but after we showed him our innocent emblem picture he wished us a nice day and we were off again. We took a ride in the underground metro and headed to the Helsinki Playground, an indoor play area for children. It gave Madi a chance to stretch her legs and us an escape from the overcast and rainy weather (which unfortunately stayed with us the rest of the visit). 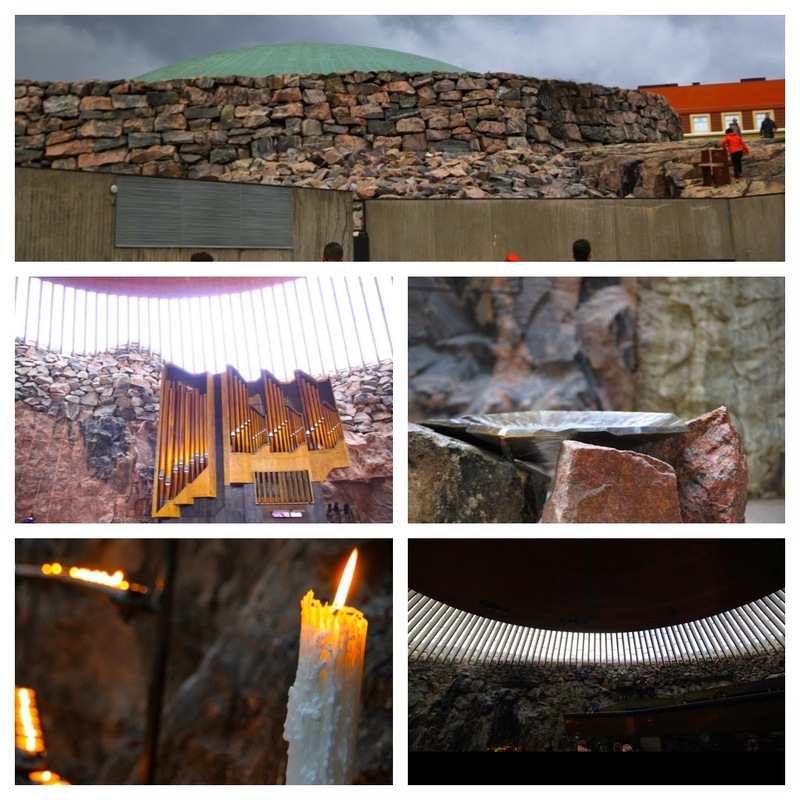 Madi fell asleep before we left the zoo so we made our way over to the Temppeliaukio Church (an amazing church built around rocks) and the Olympic Stadium. The games were held there in 1952 and you could see a great view of the city from the top of the tower! 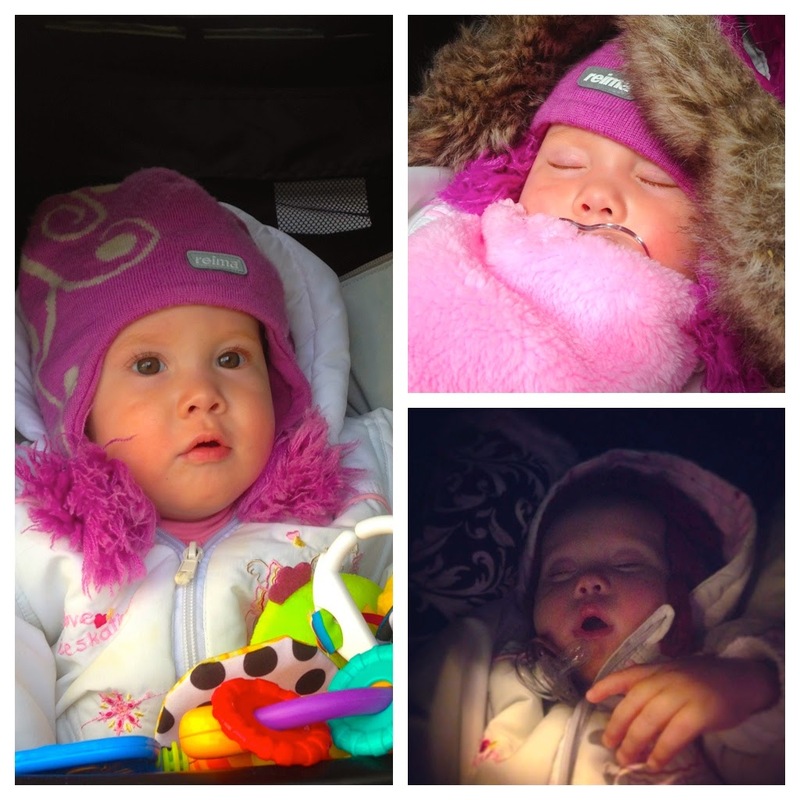 Our child is most definitely Norwegian because girl will nap for a good 2-3 hours outside in her stroller. She would fuss a bit going in (she hates to be restricted at all), but would settle and enjoy playing or watching everyone around her. 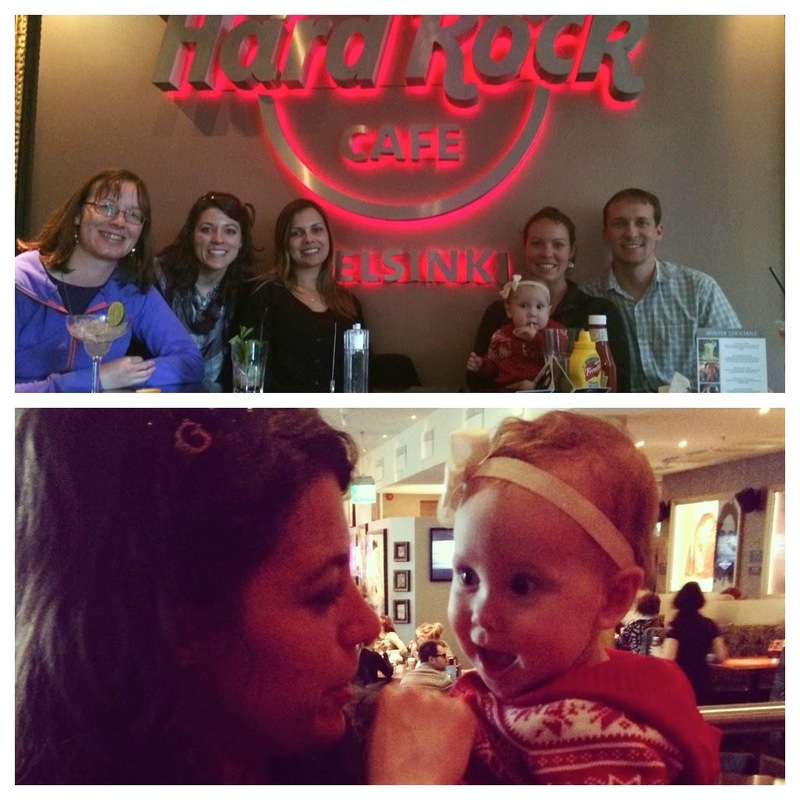 We decided to go to dinner that night since she'd gotten such a good nap during the afternoon. However, she was still pretty tired and a bit fussy, but let us finish our meal and get a picture with her serious face before heading back to the apartment. 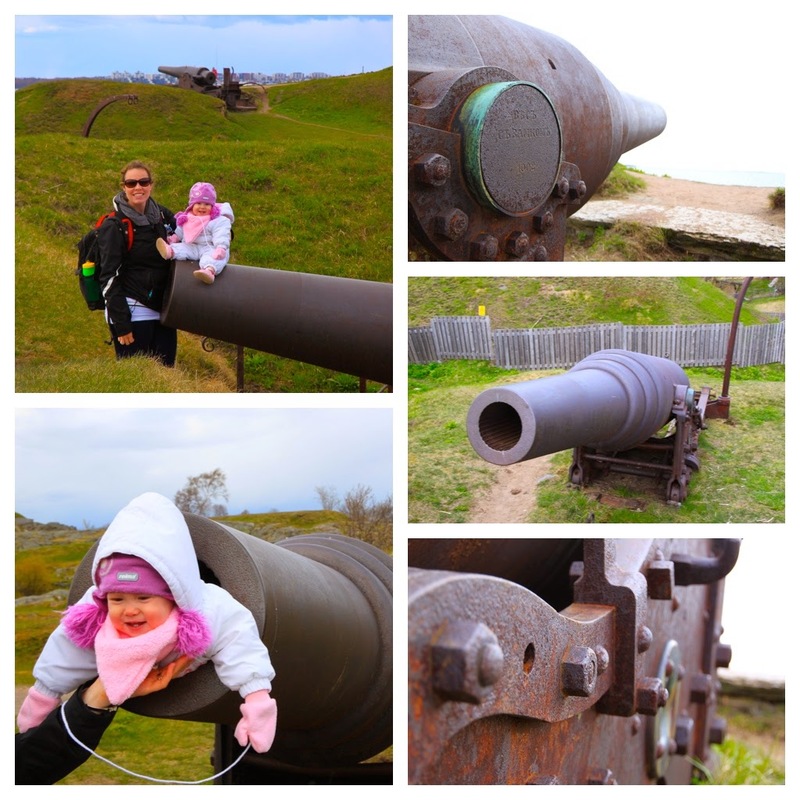 On Saturday we caught a ferry ride over to the island of Suomenlinna. 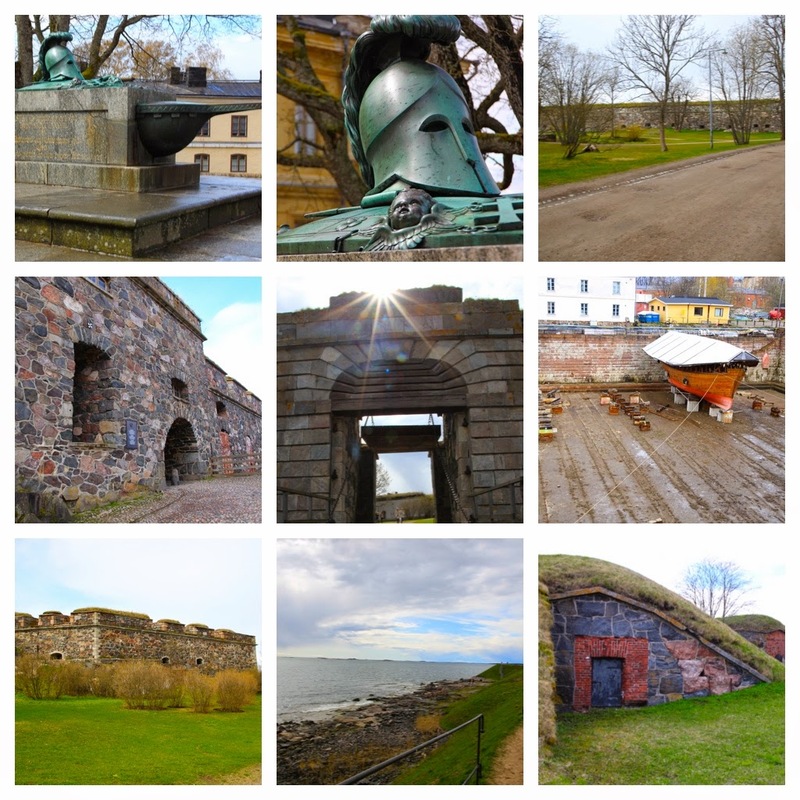 It's an inhabited sea fortress that has Swedish, Russian, and Finnish connections and has become a UNESCO World Heritage site. We spent a good bit of time there visiting the museum, taking the guided tour, and walking around the island coast. 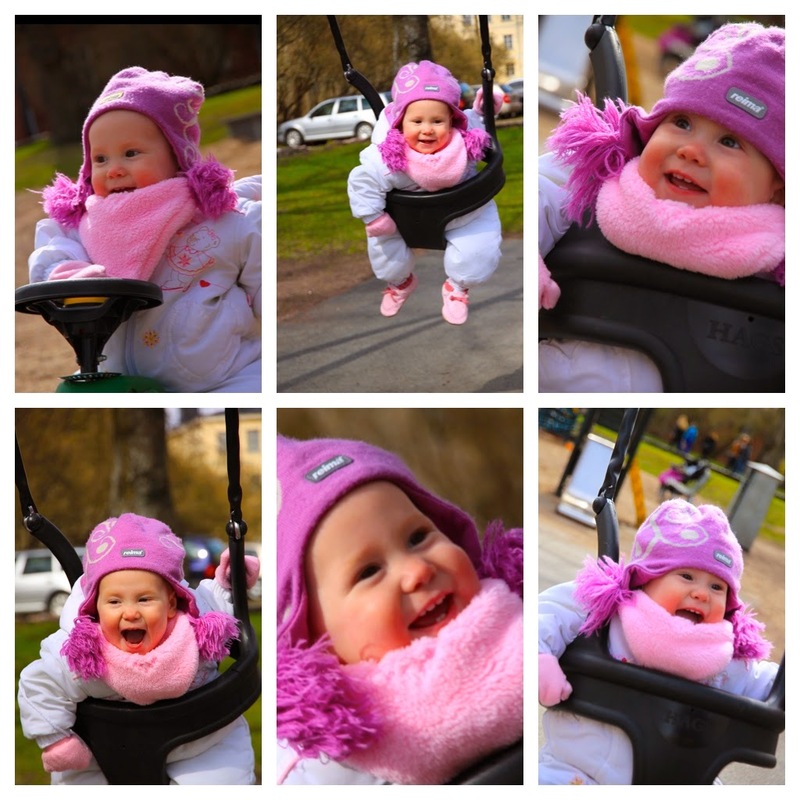 There was a playground on the island so we stopped over and let Madi swing, one of her favorite things to do! She would laugh when we ran towards her and loved being pushed. After we left we made our way back to the Market Square area to grab a cup of coffee and a bite to eat. Since I'd subjected Jason to Starbucks two three times already, we opted to try some place different and stumbled into a different cafe. The drinks and desserts were great and we got to hear some... interesting music and be entertained by Madi's dancing skills. 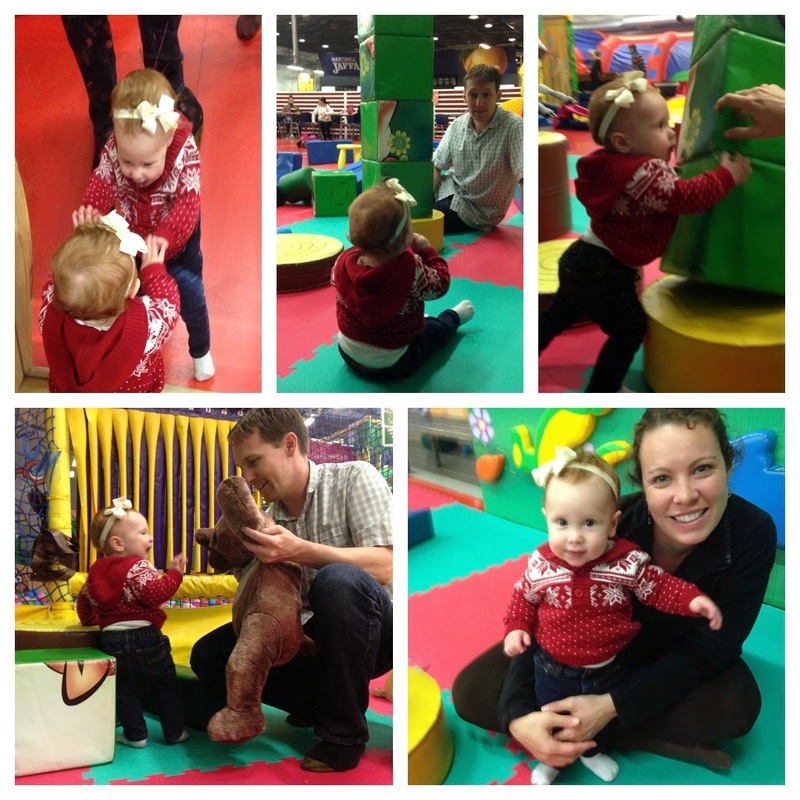 That night Madi decided she was tired of walking while holding onto something and took her first steps!! Sigh. I foresee a lot of running around chasing after her for the next, oh I don't know, 10 years?! 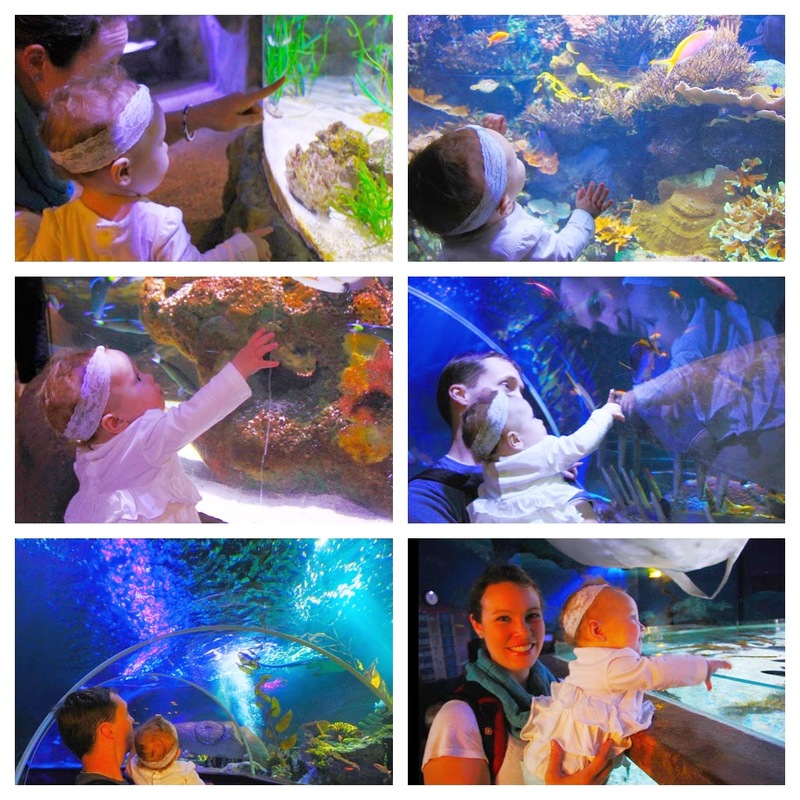 Sunday we visited the Helsinki Aquarium. 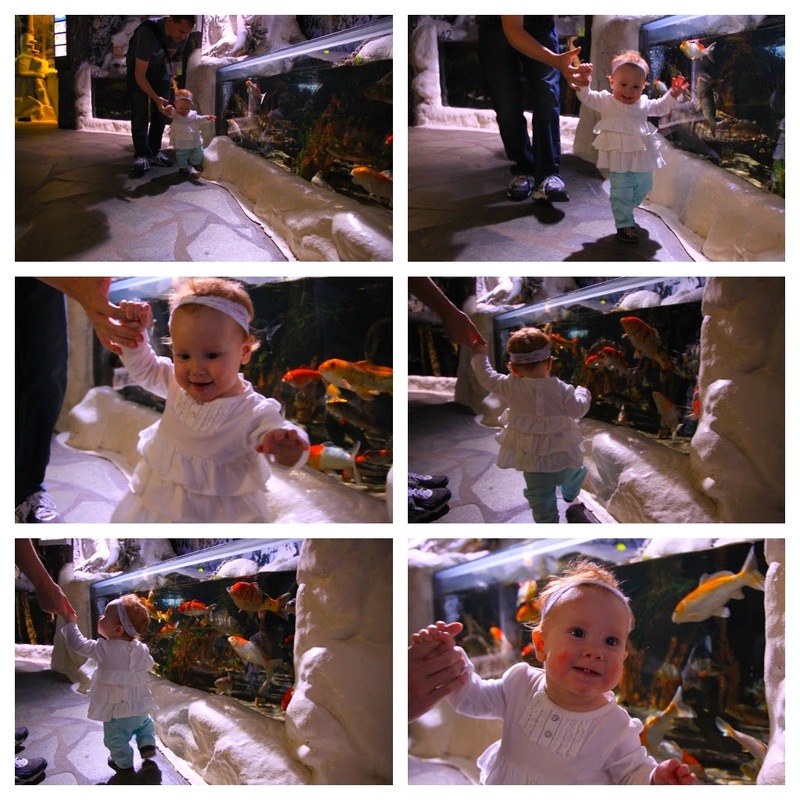 Madi also went to one in Greece and we aren't quite sure if she's a fan of them... she seems to like looking at the fish, but it takes her some time to warm up to the dark atmosphere and the glowing lights. And by this time she was realizing that she can walk so most of our time there was spent walking her around so she could perfect her technique. While we waited for the bus Madi practiced walking in a giant marshmallow suit (a handy survival skill I'm sure) and we took selfies in our BA sunglasses. I spent the rest of the evening punishing Madi for walking at 10.5 months. Suffice it to say she did not enjoy it - don't let the laughter fool you. 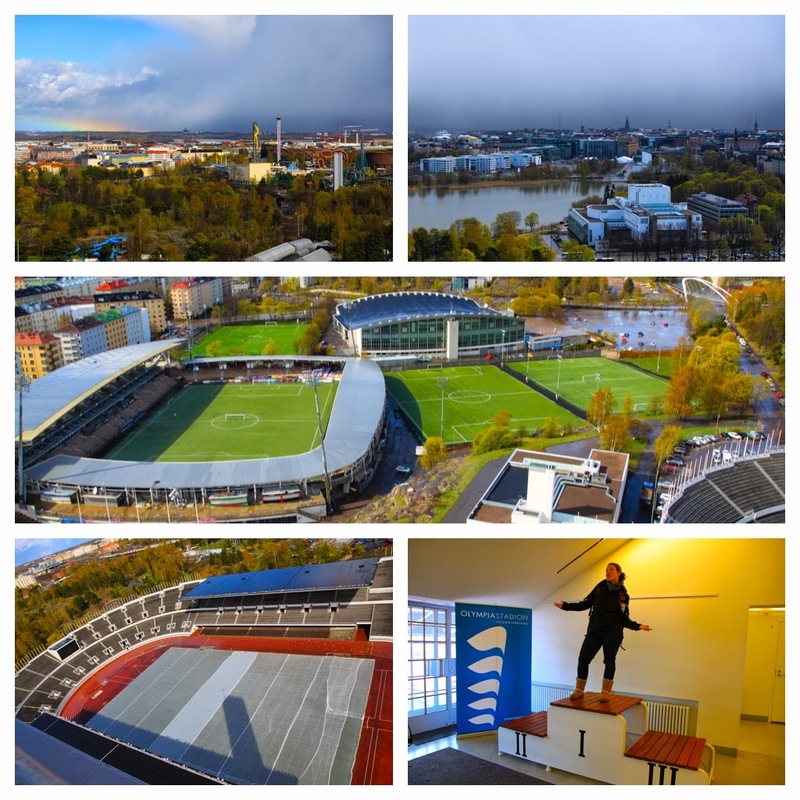 The last item on our sightseeing list was a Finnish swimming pool and sauna. We found one not too far away that had a separate splash pool for babies and visited there Monday morning. We decided to forego visiting the swimsuit-prohibited saunas because even though they are separated male/female, Jason and I just aren't comfortable doing naked in front of other people! So we can say we have visited a Finnish swimming pool and looked inside a traditional Finnish sauna. Done. :-) Pictures weren't allowed in the pool area so we couldn't capture Madi's excitement at the water slide or splashing around or walking back and forth in the pool, but it was definitely one of her favorite parts! I begged Jason for Starbucks one more time and he indulged in what I'm ashamed to admit was my fifth visit during our trip! Then we headed to the airport to catch our flights back home. 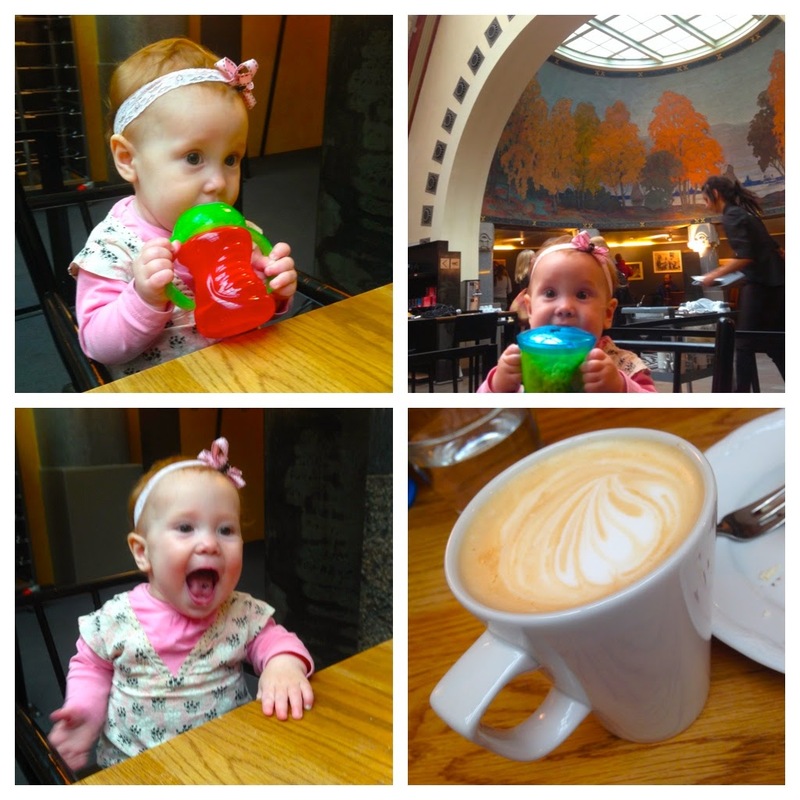 I have to say one of the best things I have experienced in Europe thus far is the baby-friendliness of the airports. Almost all of the ones we have been to have strollers past security so you don't have to bring your own, baby rooms with microwaves, tea kettles, and nursing chairs, as well as play areas for little ones. 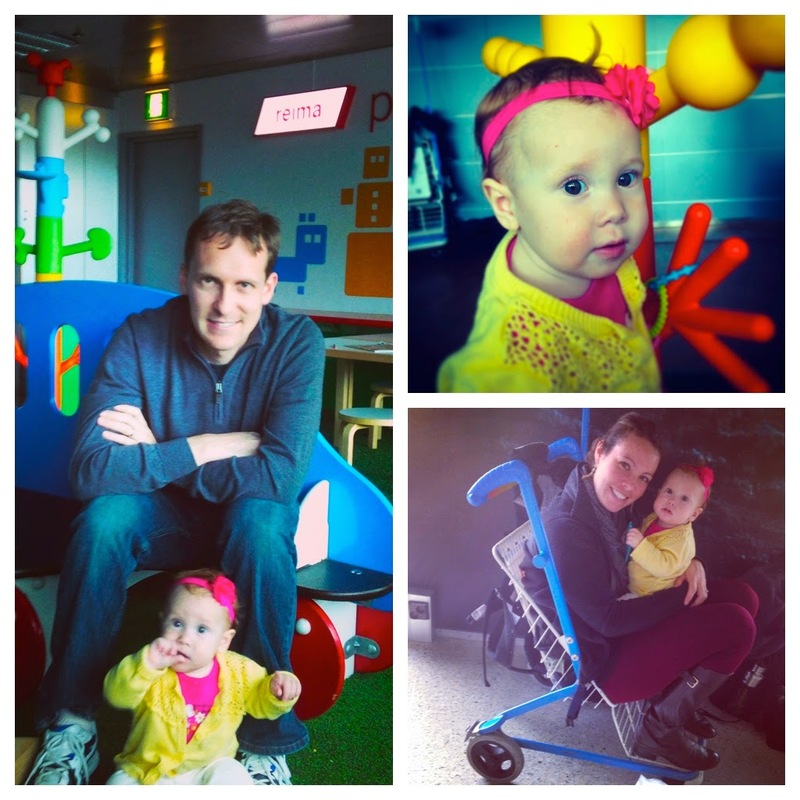 We killed time playing with Madi in one of these lovely areas in the Helsinki airport. Our sleepy duck completed her 24th flight (and 7th country!) 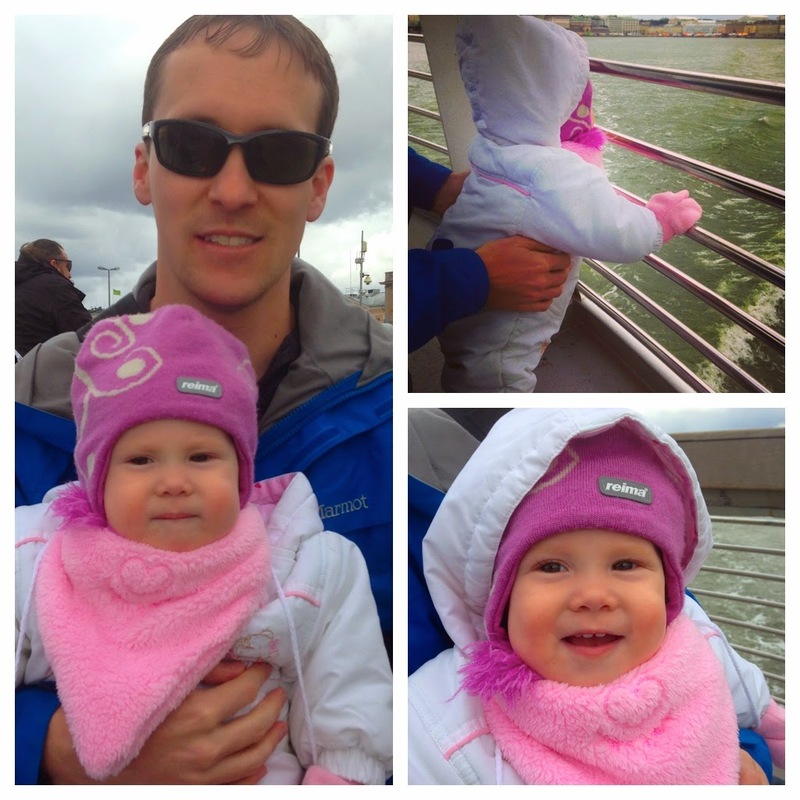 and we headed home to put her to bed after a wonderful, but tiring visit to Finland!